vFairs, leading virtual platform provider, powers the industry’s first ever Virtual Food Show for Jake’s Finer Foods, Houston’s only locally-owned and operated broadliner, with the purpose of bringing together top food vendors and foodservice operators through a digital platform that boosts meaningful interactions, product exposure, search relevance, and order placements with zero commute. “We love the whole vFairs experience. The event is easy to navigate and the platform has some fantastic features to really drive engagement and excitement. This format brings today’s latest technology to our industry, and we love the convenience it brings to our customers. January 2018 – Jake’s Finer Foods (JFF) is a leading broadline distributor and restaurant supply company in Houston, TX, delivering quality food, exceptional service and custom solutions to foodservice providers and restaurants throughout east Texas and western Louisiana. For more than 70 years, JFF has consistently offered a unique product mix and creative customer solutions. Given their innovative spirit, JFF is proud to lead the food distribution industry with a first-of-its-kind digital event that aims to further their objective of bringing quality and convenience to their customers in an engaging virtual environment. To help JFF achieve its goals, vFairs will be powering the entire Virtual Food Show which will be the premier industry event for anyone involved in the food distribution and foodservice business. vFairs has delivered numerous virtual events and specializes in developing bespoke digital platforms that provide a stellar user experience, a broad range of lead-nurturing tools and top-notch customer support all the way. 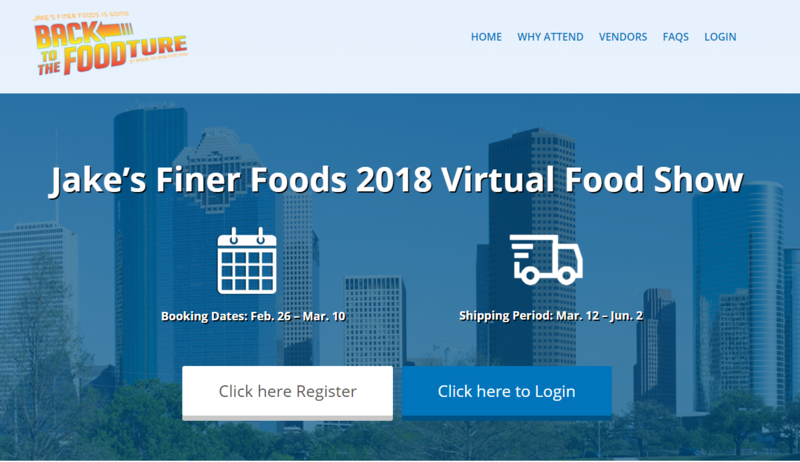 JFF’s Virtual Food Show will go live 26th Feb where leading food vendors will exhibit at virtual booths to disseminate product information to attendees through compelling content formats and rich interactive tools. 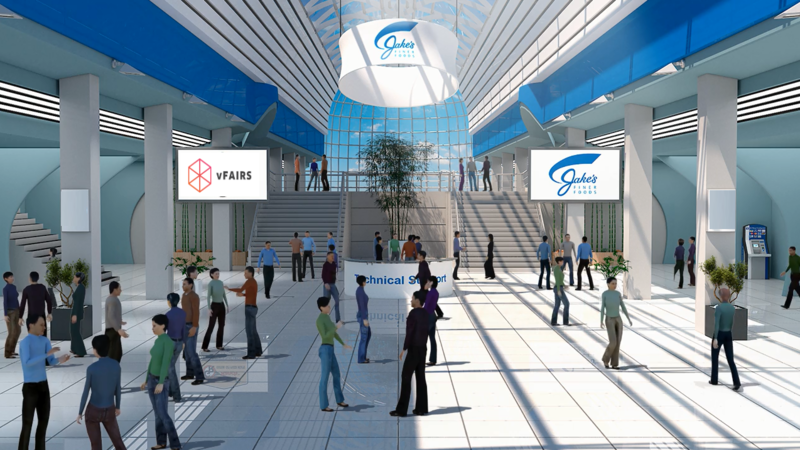 The booths will be enabled with one-to-one chat functionality where attendees can directly reach out to the vendors with questions or sample requests and have their queries resolved in real-time. The booths will also contain a ‘Products’ tab that will take visitors directly to the exhibitor’s product catalogue where products can be searched by keywords for a smoother and more relevant browsing experience. Visitors will also have the option of attending live webinars from JFF and the exhibitors to learn more about the products on offer whilst having the ability to add items to a shopping cart once they decide to confirm their interest for an order. “We love the whole vFairs experience. The event is easy to navigate and the platform has some fantastic features to really drive engagement and excitement. This format brings today’s latest technology to our industry, and we love the convenience it brings to our customers. The ability to show operators product images and live chat with vendors is extremely valuable and helps drive trial and sales of new items. We look forward to a successful show and changing the concept of the no-show food show,” commented Natalie Carter, Director of Marketing, Jake’s Finer Foods. Our customers include market leaders such as Nestle Purina, Barclays, IEEE and several others. Jake’s Finer Foods, is a family-owned, Houston-based foodservice distributor, serving the needs of foodservice and retail providers throughout Texas and Louisiana since 1946. Jake’s services a wide variety of industry segments including independent restaurant operators, multi-unit chains, K-12 schools, retail grocery, hospitals, daycares, caterers, and corporate cafeterias. Their complete line of product offerings also includes fresh-cut, premium meats from Gourmet Ranch, Jake’s exclusive custom butcher shop.